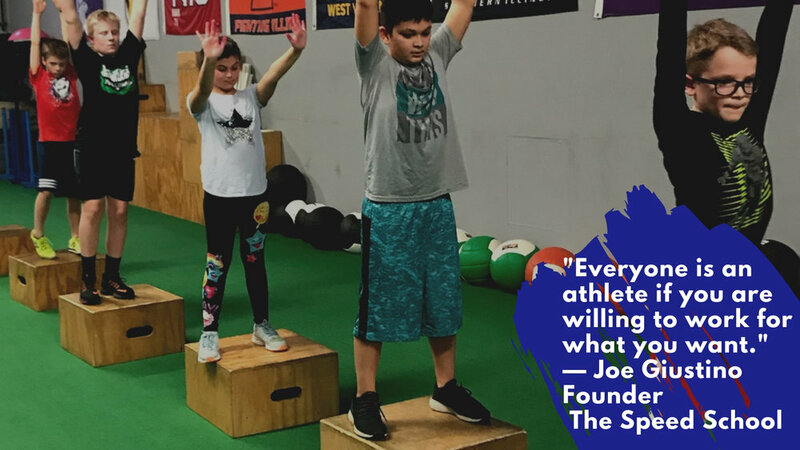 About — The Speed School Inc.
To promote a winning enviroment that provides athletes the opportunity to grow physically, mentally, and emotionally. Through each athletes commitment to hard work, success is the ultimate reward. The Speed School Inc. started in April of 2008 with 15 high school athletes. "The ball started rolling" in result of the explosion of the word of mouth that St. Charles native and Speed School athlete Matt Payne box squatted 615 lbs. The video was posted on youtube and from there The Speed School became the recommended force in strength and agility training for the Chicagoland's west suburbs. In 2009, The Speed School began training high school programs such as football, softball, lacrosse and eventually expanded to over 150 athletes. In November of 2010 the facility doubled in size. In 2015, The Speed School Inc. expanded its training to ALL SPORTS with the commitment of preparing every athlete for the mindset of moving on to play collegiate sports. Content Copyright 2015-2018. The Speed School Inc. All Rights Reserved.